‘Most academic film studies professionals don’t take nature film seriously, either historically or theoretically. Indeed, there are few better indications of the educationally counterproductive gap between the humanities and the sciences’. Scott MacDonald in Adventures of Perception (2009) p. 156. 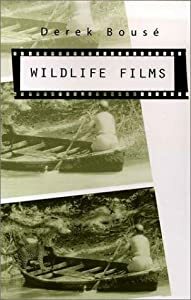 Scott MacDonald, a film critic with a special interest in independent filmmakers of place, coined the word ‘ecocinema’ in a 2004 academic ecocriticism journal article (listed below) where he was examining the work of independent filmmakers, such as Andrej Zdravic, James Benning etc. Today, ‘ecocinema’ is employed more widely and is often used to refer to mainstream films with explicit environmental themes. Blewitt, John (2010) Media, ecology & conservation – using the media to protect the world’s wildlife and ecosystems. Schumacher Institute, Green Books. Brereton, Pat (2005) Hollywood Utopia: Ecology in Contemporary American Cinema. Portland, OR: Intellect Ltd.
Cubitt, Sean (2005) Eco Media. Amsterdam and New York: Rodopi, . 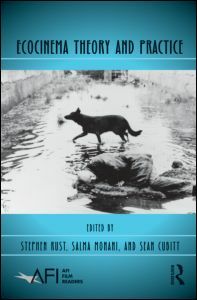 Dobrin, Sidney, I., and Morey, Sean (2009) Ecosee – image, rhetoric, nature. SUNY. Ingram, David. (2000) Green Screen: Environmentalism and Hollywood Cinema. Exeter, UK: University of Exeter Press. *MacDonald, Scott (2004)Towards an ecocinema (from the Journal of Interdisciplinary Studes of Literature and Environment (ISLE) , p. 107-32). *MacDonald, Scott Adventures of Perception (2009). 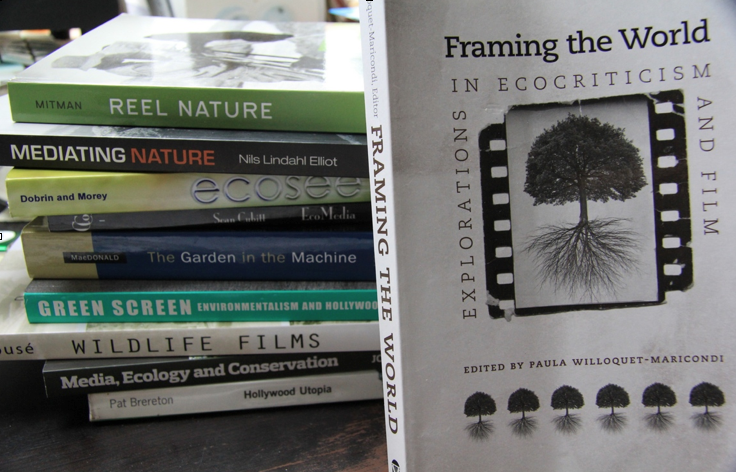 In particular the chapter on Upclose and Political – three short ruminations on nature film. *Willoquet-Maricondi, Paula (2005) Through the Glass, clearly RelasePrint Journal, Nov/December,. Release Print: The Magazine of the Film Arts Foundation (www.filmarts.org) (discussion of Andrej Zdravic’s Riverglass film). Tobias, Ronald, B. (2011) Film and the American moral vision of nature: Theodore Roosevelt to Walt Disney. Michigan State Uni Press. This seminar was organised by the former UK RSA Art & Ecology Programme (2005-10); Andrej Zdravič, a leading independent soundvison filmmaker led some of the discussions and showed some of his work.